Memberships run from July to June and require completion of a basic application form and payment of annual dues. Sponsor membership includes a one-year WCHS membership, a copy of The Architectural History of Watauga County, North Carolina (a $45 value), and acknowledgment as a Sponsor on our website. Looking to buy a copy of The Architectural History of Watauga County, North Carolina? You can order a copy directly at the address above for $45 (plus $5 shipping). The first type of help is the most obvious kind--giving cash--and we are grateful for ANY size donation you can make. Every dollar helps us do our work, but a larger donation of $250 buys storage media and digitization supplies for an average collection in the DWP. A donation of $500 will help us fund another sorely needed fireproof storage cabinet for Digital Watauga materials at the Watauga County Public Library. A donation of $1,000 pays for the overhead scanner we hope to purchase in 2017-18 to handle oversized items. A donation of $2,500 pays for our annual Jones House exhibition and a Digital Watauga intern for a semester. You can send us a check at the address above or make a donation through PayPal using our email address, WataugaCoHistSoc@gmail.com. All donations over $100 are acknowledged by name on our website unless you request to be listed anonymously. We also welcome volunteers who are interested in being trained to digitize materials for the project. Often, this takes the form of a formal internship through ASU or another college-level program, but we also have non-students who work on the DWP on a volunteer basis as well. Having a basic understanding of computers helps, as well as a keen interest in and curiosity about our local history, but you do not have to be a computer whiz to be a DWP volunteer. And yes, there's yet another way you can help. 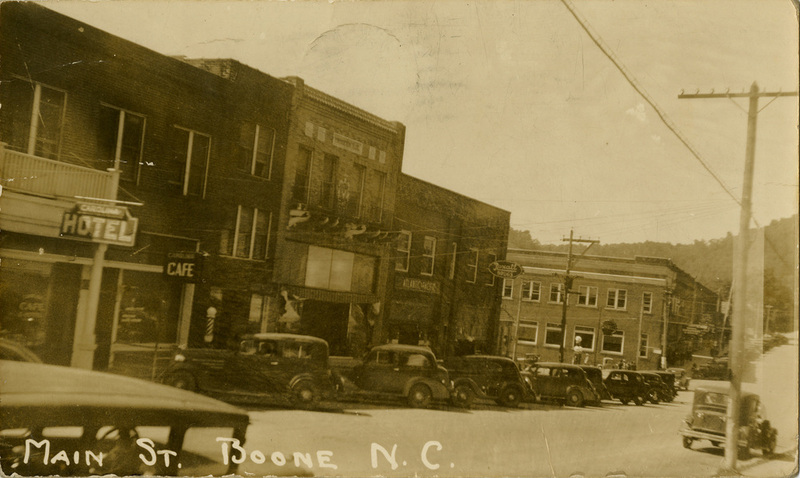 The DWP is always seeking new collections of images and documents related to the history of Watauga County. Do you have pre-1990 images or documents that you'd like to see added to our collection? If so, contact us with details at DigitalWatauga@gmail.com. Donors sign a digital use rights deed of gift so that we can post the digitized materials online, but all original materials are returned to their owner(s) once scanning is complete.